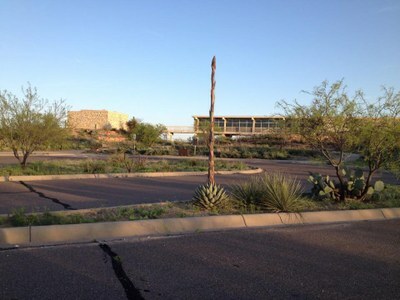 The Dunagan Visitor Center and Headquarters is wheelchair accessible. It has exhibits, a park store, outside terraces and restrooms. The attached wildlife viewing deck is also accessible. You can get to the center via cement routes from the parking lot. Additions to both the men's and women's campground restrooms are accessible. Two of the campsites with electricity have larger paved areas. These may work for some visitors with mobility limitations. The equestrian campsites are on a paved parking area designed for large vehicles and trailers. Wheelchairs can navigate the paved area. Tents are not allowed. Conditions can change quickly. Contact the park for more information and to ask about the status of accessible features. Call the Reservation Center to reserve an accessible campsite (1-800-389-8900).